Venida Smith passed away January 28, 2018. 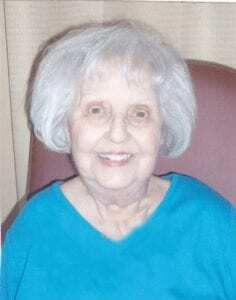 Venida was born in Gasconade, Mo on August 29, 1925 to William L. and Opal E. Feagan. She worked as a secretary for Johnson County Appraisers Office. She is survived by her son, Timothy “Tim” Smith and wife Jo; a grandchild and three great grandchildren. Graveside services and interment were February 1st, at Johnson County Memorial Gardens, 11200 Metcalf Ave, Overland Park, Kan. . In lieu of flowers the family suggests memorial contributions to Garden Terrace of Overland Park Activities Fund, 7541 Switzer Rd, Overland Park, Kan 66214.